Here is a little secluded spot in my neighborhood where one can go to relax or blow off some steam. 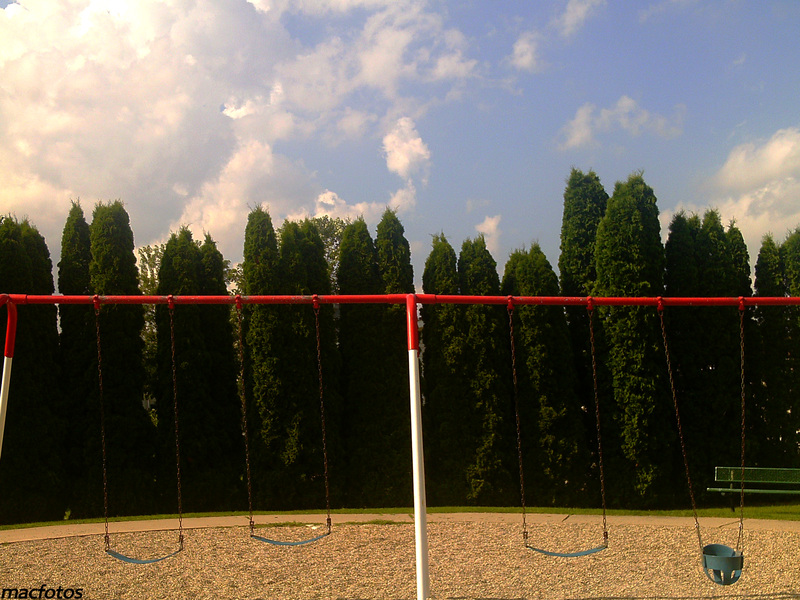 It’s very peaceful, especially this swingset that is usually empty and reminds me of a creepy scene in a horror movie. I chose this spot for this week’s photo challenge because of the nice backdrop of evergreen (or spruce?) trees and the natural layering involved with the sand and the sky – actually that’s not sand but millions of wood chips that I remember scraping my hands and knees up pretty badly on the elementary playground many years back. After living in this mobile home community for nearly five years, I’ve got to say that this area of innocence has held up pretty good. The place is very good about keeping vandalism away and the people living here don’t cause much trouble (I’ve only seen the cops come by maybe two times). 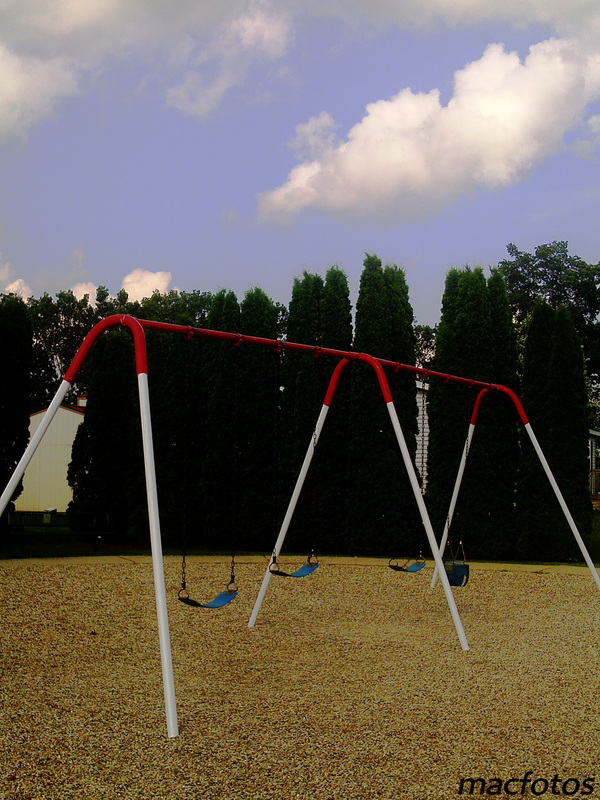 This playground was the sight of another picture I took for Photography 101 last year, which was a smash hit for me and everyone else.